Travellers from around the world will be packing their bags and flocking to Cairns to experience Earth's Total Solar Eclipse on November 14 between 5.45am and 7.30am. Rare for a total eclipse to be visible from land, the Cairns region is the only place in the world where it can be experienced in full glory as the moon casts a shadow so large the land will be plunged into darkness. 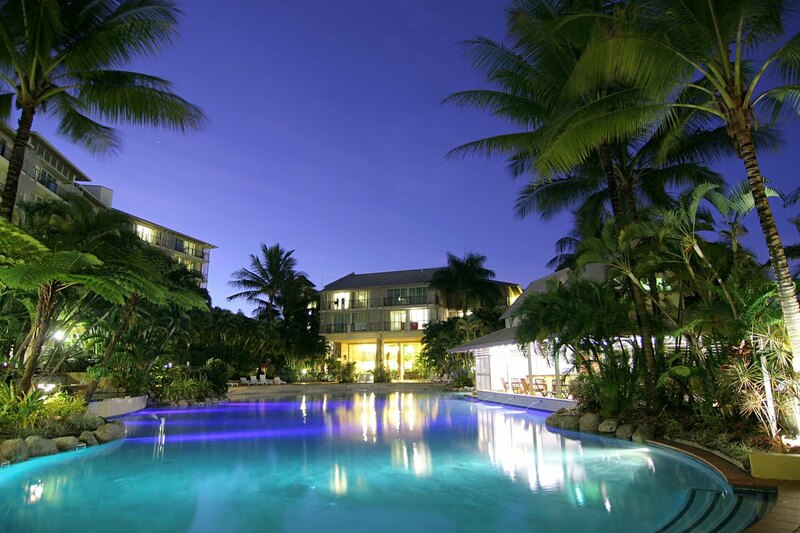 Rooms are still available at competitive prices at the 4.5 star Novotel Cairns Oasis Resort from $189 per night for November 12 and 14. The rate for November 13 is $290 and a two night minimum stay applies. Guests booking for three nights will receive complimentary buffet breakfast daily. The restaurant will open at 4.30am on November 14 to give guests the opportunity for breakfast before they depart the hotel. During the Solar Eclipse celebration a nightly seafood buffet with live cooking will be available from November 11 to 14 in the resort's Mizuna Restaurant. Priced at $59, the nightly seafood buffet will offer a different theme each day. The Aussie night will feature crocodile kebabs, grilled kangaroos and wild barramundi while the Asian, Latin American and Italian Mediterranean nights will see guests in a cultural bliss complemented with an exquisite desert buffet to finish. Located in the heart of the city just a short stroll from the popular Cairns Esplanade, the Marina, night markets and Reef Casino, Novotel Cairns Oasis Resort is a tranquil property set on two hectares of lush grounds complete with lagoon style pool, sandy beach and a swim up bar. The resort's popular Mizuna restaurant has been voted by the Accor Group as the best Novotel restaurant in Australia and offers a refreshingly different perspective on modern dining for an affordable price. *Full payment is required at time of booking. Event terms and conditions apply.